Almost 3 in 4 US veterans have a service-related disability, according to PBS, allowing them to potentially save hundreds annually on their mortgage. If you’re one of them and you receive VA disability benefits, then you do not have to pay the VA funding fee, which can cost you approximately an additional 2.15 percent of the purchase price of your home. You purchase an average priced home of roughly $200,000. You could reasonably save over $4,300 by not having to pay the VA funding fee. At a 4 percent interest rate amortized over the life of the fixed loan for 30 years, $4,300 will cost you roughly $7,000. The total amount of interest that you will pay for that $4,300 is over $3,000. On an annual basis, you will pay just under $240 for that $4,300. You will, therefore, save $20 a month if you don’t have to pay the VA funding fee. If you have a service-related disability of at least a 10 percent disability, but have not yet applied for VA disability benefits, then you are still required to pay the funding fee. If you close on the mortgage prior to the date of your application for VA disability benefits, then you are not eligible for a refund. If you have submitted your package, but just have not been approved for your disability benefits, then you will be eligible for a refund, provided that you are approved as having a 10 percent or greater disability. Not paying a $4,300 funding fee doesn’t mean you’ll save $7,000 on your mortgage, though. In fact, there’s a possibility that waiting to buy might actually cost you considerably more on your mortgage. ….or you could wind up saving far more than the $7,000, depending on how the housing market reacts to rising interest rates. 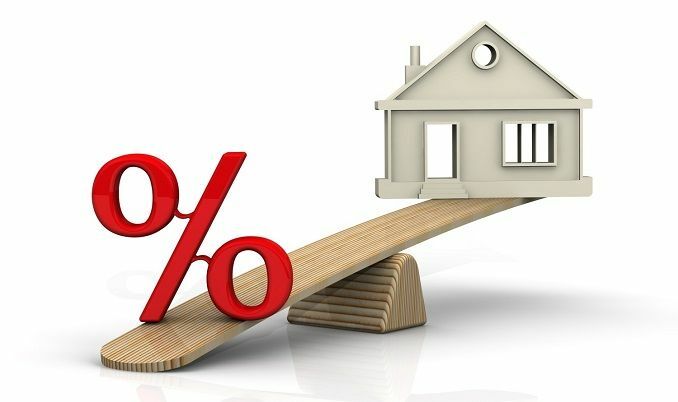 You can read more about why interest rates will rise and the implications that may have for military homebuyers and military home sellers in our recent article What Mortgage Changes Mean for Military Families: Will You Lose Money if You Don’t Buy or Sell Now? If you purchase a home for $200,000 now and roll the $4,300 funding fee into your closing costs, then on a 30-year fixed loan at 4 percent APR, roughly the current APR for a VA Home Loan, then your mortgage would cost you about $975 per month, not including taxes, insurance, or any additional fees that you may have rolled into your closing costs. If you wait until your VA disability benefits package is approved, then you could potentially save the $4,300, which would save you roughly $20 per month. However, if you wait until your package is approved, but end up paying 4.25 percent interest because the market adjusted, then you would pay $985 per month on just the $200,000. If the market adjusted even more, causing an interest rate of 4.5 percent, then you would pay about $1,015 per month. I won’t even begin to look at interest rates of 5 and 6 percent; I think you get the picture. Then again, if you wait until the market adjusts to higher interest rates, then you may have less competition for good homes from your fellow homebuyers. That may translate to paying a lower amount for your house overall. A savings of just $10,000 on an asking price of $200,000 at 4.25 percent would translate into roughly $50 per month, $600 per year, and $18,000 over the life of the mortgage. Don’t you just love playing financial roulette with your military family’s home buying decision? No? Us neither. If you bought a home with a VA Home Loan and think that you may be eligible for a VA funding fee refund, then contact your VA Regional Loan Center in writing. They will reimburse you in the method by which you paid the funding fee, which means that it will either be deducted from the total cost of your mortgage if you rolled the amount into your closing costs, or you will be refunded in cash if you paid upfront. If you're confused about whether you might be eligible for not paying the VA funding fee, then please contact a representative at MilitaryByOwner’s partner, Veterans United, to learn more.